Strong ability to identify and develop change strategies, establish cultural change and monitor efficacy of changes, with training in organisational change management approaches. Communicate effectively to deliver change strategies, build relationships, inspire stakeholder engagement, train staff and encourage cultural change at different operational levels. Strong ability to provide robust leadership during times of change and transition. Exceptional instructional delivery and facilitation skills. Identify business cycles and development opportunities, produce business plans and provide direction on how best to implement them. 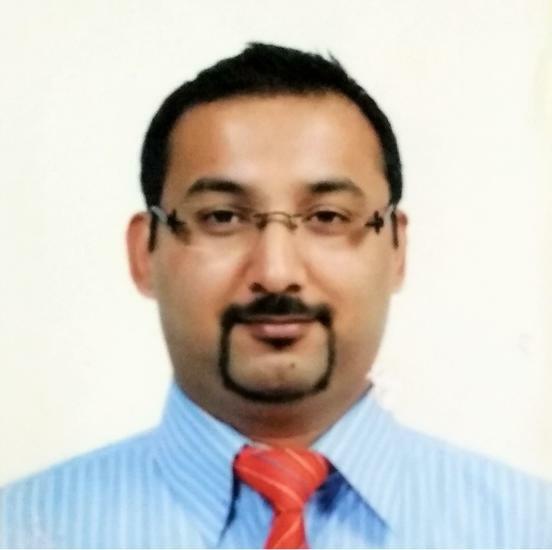 Pramesh is a Business Readiness Lead with 16 years of extensive and diverse global experience primarily in Global Banking Operations and Consumer Service and Operations Technology domain. Engage in lightweight Agile program management. Designed and coded application components in an Agile environment utilizing a test driven development approach. Senior Software Engineer / Process Definition and Improvement, Project Management, Internal Design Documents, Coding, preparation of Test Cases, Unit testing and Integration Testing, Peer Reviewing and final delivery. Specialities: Process Definition and Improvement, Project Management, Internal Design Documents, Coding, preparation of Test Cases, Unit testing and Integration Testing, Peer Reviewing and final delivery. Build credibility, establish rapport, getting signoff’s and maintain communication with client and other linked parties at multiple levels. Point of contact for the project and release from management perspective. Coach, mentor and lead personnel within a technical team environment. Responsible for presenting periodic Dashboard reports on the current project status, future opportunities and client issues. Responsible for preparation of Internal Design Documents, Coding, preparation of Test Cases, Unit testing and Integration Testing, Peer Reviewing and delivery for the various tasks assigned. Defect Prevention Coordinator - Tracking project defects, getting defects assigned to the respective teams to be closed as per SLA’s. Primary domain and responsibility: application programmer instrumental in Investigation of reported Bugs. Part of both Development and Testing Team contributed towards development of the enhancements and testing of the bug fixes of various project modules. Was also in-charge of the Knowledge Base of the project and the backup tester of the testing team. This Project Totally concerned with the ongoing Industrial Supply Chain that Industry Used for Purchasing the Items from the Purchasing Parties according to Planning Requirement for manufacturing Product, and then supplying it to the party. Initiated / established release management process solely from offshore with coordinating Project & Operations teams for migration of over 400 application projects into production environment ensuring effective preparation and implementation of Release and Change-related activities. Built a Release Life Cycle tool that resulted in annual savings of $550,000 and received Gold award (thrice) from onshore client for contribution towards Release Management activities, at BA Continuum India Pvt. Ltd. Manage Change: Manage activities in a change project. Includes engaging stakeholders in the change effort and ensuring they ready to adopt the coming changes, measuring and reporting change progress, assessing business readiness and supporting change adoption. Led and conceptualized the Release process for end to end deployment of Application functions at different department. Led the onsite team at HSBC Canada, to oversee GS07 implementation, rollout, and post-implementation of HUB support.